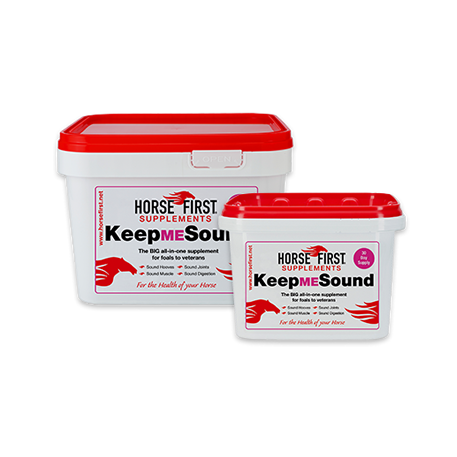 KeepMESound nurtures and cares for joints, hooves, coat, skin and assists the digestive system, giving all round help and support in a scoop. This maintenance supplement is an essential addition for optimum health. 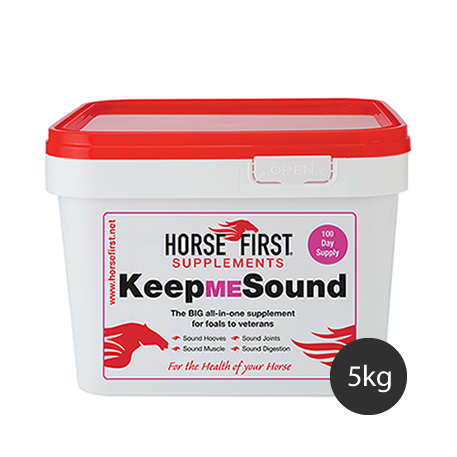 Supplementing with KeepMESound compliments a well-balanced diet by providing an adequate intake of essential nutrients. Why Choose Keep Me Sound? All your horse needs in one scoop. Watch your horse thrive, you will see, feel and enjoy the difference KeepMESound makes. For your horse's health and for your peace of mind. "Supplementing with Keep ME Sound compliments a well-balanced diet by providing an adequate intake of essential nutrients." Vitamin E, B1, B2, B6. 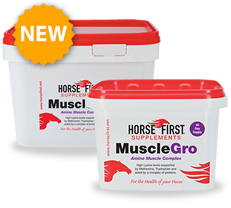 Horses: Add one 25g scoop to morning and evening feed. 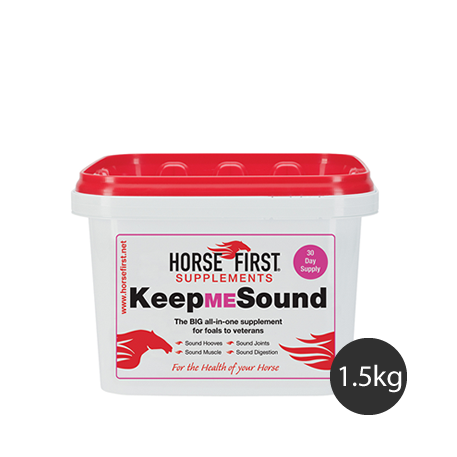 Ponies and Foals: Add one 25g scoop to feed daily. Well you have done it again HorseFirst!!! I took on and unwanted horse in Oct 2012. Big Ted is a 17hh Belgian Sports Horse who sustained some form of injury form jumping. 2008 - 2019 © Copyright Horse First Ltd.